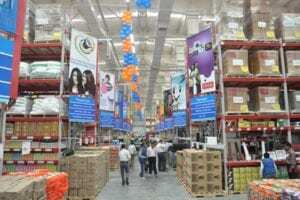 Walmart India recently opened a new B2B fulfillment center. B2B might not be the first thing that comes to mind when one thinks of Walmart, but the mega retailer is making a major B2B play in India. Business Standard reports that Walmart plans to open 50 B2B stores across the country. The company opened a new B2B fulfillment center at Lucknow in Uttar Pradesh in India last week, which sources say would help support the retailer’s B2B ecommerce plans and provide support for Flipkart (Walmart has acquired a 77 percent stake in the grocery chain). 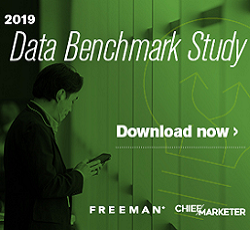 Walmart currently has 21 stores in India, and is expected to have 25 by the end of the year, with roughly three million square feet of retail and warehousing space, Business Standard notes. The moves are part of an initiative to tap into the growing business-to-business (B2B) e-commerce business in New Delhi, as Walmart India President and CEO Krish Iyer told the Hindustan Times. Nearly half of Walmart India’s revenue comes from non-stores sales, which includes B2B e-commerce, associate driven sales and call centers.